At our old place in Elmhurst, we had a big, beautiful, sprawling Anemone plant that was a gift from Nat's Mom. 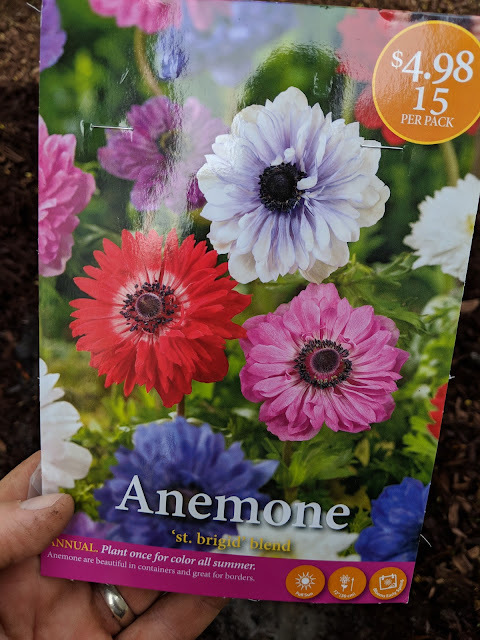 Turns out, Natalie had Anemone in her wedding bouquet and they were attempting to recreate it some time after our wedding and that involved the purchase of Anemone plants to take some cuttings from. Nat's Mom ended up with a couple of these plants and gave us one - which I stuck in the sideyard of our house - right to the south of our front porch. And it thrived! Like, really thrived. After a couple of years that is. It started small, came back in year two and I think gave us just a couple of blooms. But in year three and four and beyond? It was big and wonderful. Take a look at it blooming in 2013 here. Just like the peony that the kids gave Nat for Mother's Day this year, they also picked out a set of Anemone bulbs - these St. Brigid Blend. Which, I believe aren't the same plant that we had before. Why? Because this product listing says that in any other zone besides Zone 7, these are annuals. Womp, womp. 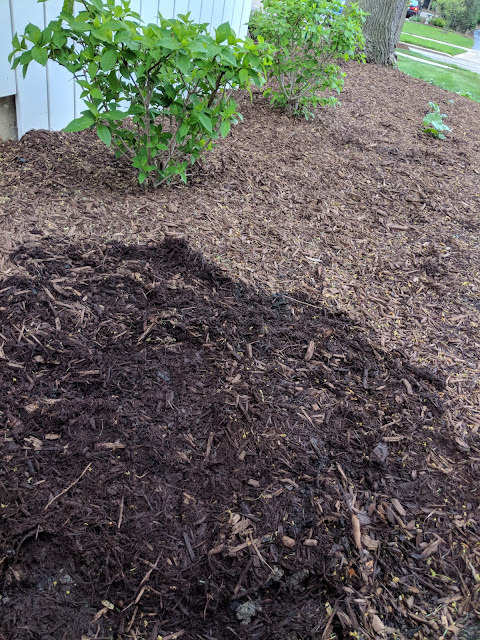 Welp, we bought them so I figured I'd plant them anyway. I put them just in front of the peony that I posted about yesterday on the side of our wrap-around porch. These bulbs are super weird. 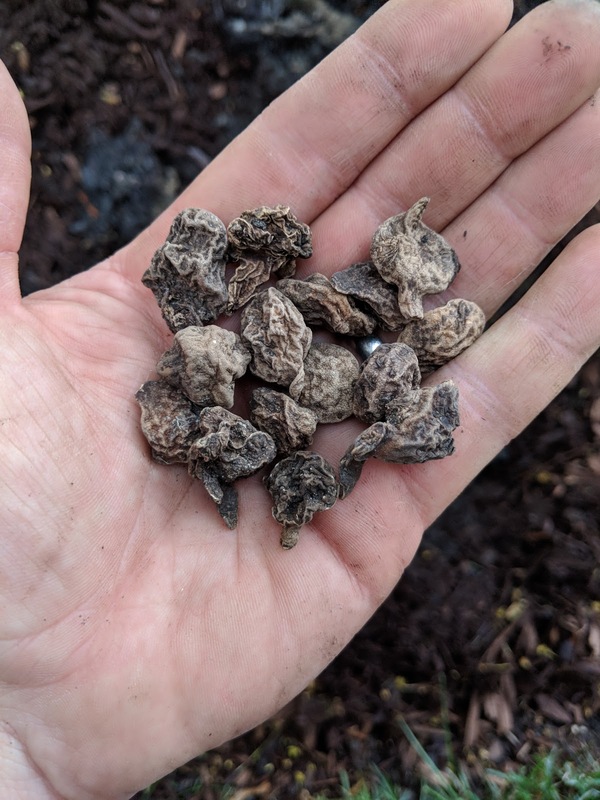 They are shriveled up little hardish things that kinda look like a mushroom and a nut combined. 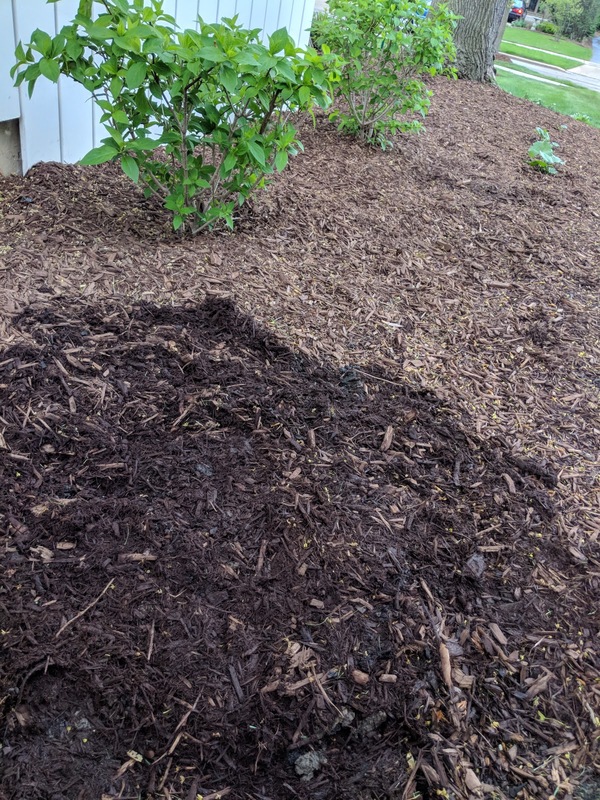 I cleared a spot of mulch, got down into the top soil and then spread them out. Hoping that I put the 'top' in the right orientation. This area gets a lot of water (when it rains), so I'm hopeful that they'll take off and we'll have a little bit of show come Summer.